Health facilities that provide services for senior citizens have seen a sharp increase in success in the United States over the past decade. An aging population requires more assistance than ever before, and people who choose to seize the opportunity to provide care for the elderly can enjoy the benefits of having a lucrative career that allows individuals to give back. The Administration on Aging reports that the older population is on a steady incline in the U.S. People over the age of 65 now represent approximately 12.9 percent of the population, and estimates predict that population growth in the 65 and older group will lead this demographic to represent 19 percent of the population by 2030. There will be approximately 72 million people over the age of 65 in 2030. People in this age demographic tend to require assistance because of the natural decline of physical and mental capabilities. The Bureau For Labor Statistics projects that the growth of industries related to the care of the elderly will occur at a rate of 70 percent between 2010 and 2020. Over one million positions will become available in the industry during this time period. Why will there be so many positions available in the elderly care industry? The core reason for the growth is the aging of the population, but some people may wonder why the population of people over the age of 65 is growing so quickly. While the aging of Baby Boomers is one reason for the increase in the elderly population, other factors should also be considered. Medical advances make it more likely that a person will recover from diseases that were once considered to be fatal. The Assisted Living Federation of America notes that diseases such as cancer and HIV have become much more manageable because of modern healthcare practices. However, it is important to note that people in this age demographic often suffer from ailments that require them to seek assistance from professionals in the healthcare industry. Studies tie an increase in longevity to a greater chance of living for years with a disease or disorder that requires an individual to have ongoing medical assistance. This fact contributes to the sharp increase in demand for healthcare professionals who specialize in caring for the elderly. Families that are considering elder care for their loved ones may be overwhelmed by the number of choices. While there are many different types of care for the elderly, each of these types is very different and should be examined to ensure that love ones are getting the assistance that they need while maintaining their independence when possible. Medical care is needed if an elderly person needs help with administering medication or maintaining good health. This type of care must be provided by a licensed medical professional. Interim Healthcare provides medical care for the elderly. Non-medical care may be necessary if a person is not able to properly care for themselves even though they do not need medication or any other type of medical attention. Non-medical caregivers can prepare meals, help a person get dressed, perform light housekeeping tasks and drive a person to the store or appointments. Companies that provide these services include Home Instead and ComForcare Senior Services. In-home care allows an elderly person to stay in their home to maintain independence and stay comfortable in familiar surroundings. In-home care can be medical or non-medical. Amada Senior Care is an example of a company that offers non-medical in-home care. 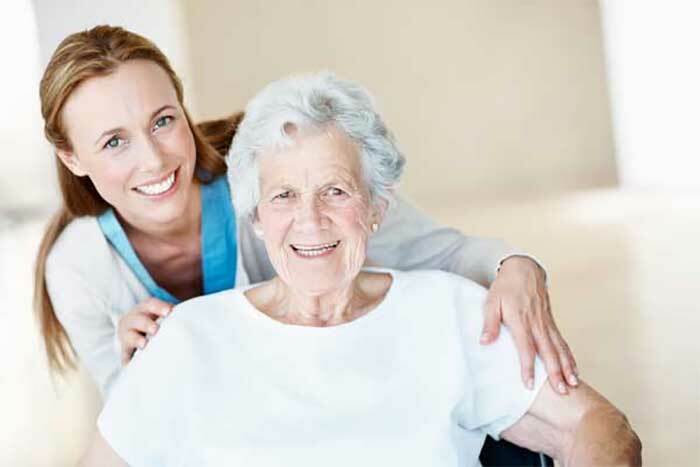 Facility care requires a person to live in an assisted living facility in order to receive medical care and other assistance from professionals. The level of assistance typically depends on the capabilities of the individual. Some people may want to live in an assisted care facility because they are simply no longer able to maintain their home. Other people may require constant medical attention. These facilities can be found through Medicare.gov. Adult day care is beneficial when family members want to care for their loved one. This allows the elderly family member to stay in their own home for comfort and familiarity. Family members who work or need time away from overwhelming responsibilities can rest assured that their loved one is receiving the proper care at a day care facility. The senior is then able to go home at the end of the day. Family members can use the Eldercare Locator to find a day care facility. The rising elderly population makes care for this demographic a lucrative business opportunity. There are many types of care that can be provided to people over the age of 65, and offering assistance to family members who are caring for an elderly loved one is a worthwhile pursuit. See www.FranchiseOpportunities.com for a comprehensive list of franchises available in the senior care industry.